Climate change has created a storm of uncertainty. These researchers are making sense of it. Climate change isn't a monolith. It's characterized by the melting of ice caps over time as much as by a storm surge that cuts off power to a coastal city's subway system. But global climate change models are good at calculating broad trends, not at accounting for rare weather events and the havoc they might wreak on communities. And that's to say nothing of the unprocessed backlog of climate data collected in recent years, which is far beyond the human capacity to analyze. "Sometimes we hear the science is settled, and sometimes we hear there is so much that we don't know that we can't make any decisions," said Auroop Ganguly, a professor of civil and environmental engineering at Northeastern. But, he added, "making uncertainty an excuse for inaction is a big issue." In an article released by the British publication Climate 2020 on Friday, a team led by Ganguly spells out how to harness existing science and technology to interpret climate data, make more accurate predictions, and drive industries and municipalities to both prepare for and lessen the effects of climate change. One method the team recommends is called extreme value theory, a type of statistics that can predict the likelihood of something out of the ordinary. This, the researchers write in the article, is one stepping stone to "extracting predictive insights about the statistics of change and extremes." Ganguly and his team are already setting an example by conducting research to make these kinds of detailed predictions. Specifically, they've studied weather extremes such as heat waves, cold snaps, heavy precipitation, high winds, and droughts—outcomes of climate change largely unaccounted for in the broad trends produced by current global models. 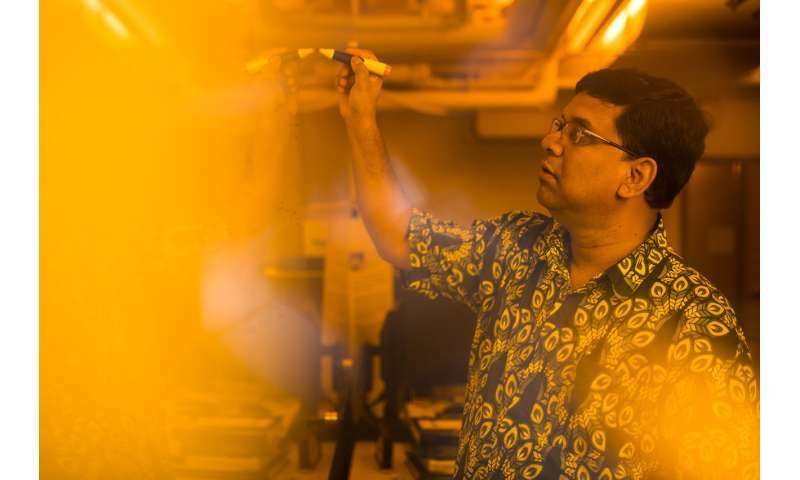 Ganguly, who directs Northeastern's Sustainability and Data Sciences Laboratory, said that researchers need to expand their work to include both data science and physics. And when the millions of gigabytes of available climate data seem insurmountable, machine-learning technology can help analyze the information. But once researchers are able to fully process climate data, they still need to convince federal and commercial groups to use it to inform policies and protections. As is, many government agencies, insurance companies, and insurance risk modelers and auditors are still opting to react to damage caused by a storm, for example, rather than reward people for preparing for it. Ganguly said that this is because there's currently no significant financial incentive to prepare for the effects of climate change. "The importance of economic incentives to overcome hurdles to best practice or to engineering innovation, as well as to policy myopia, cannot be overemphasised," the researchers write in the Climate 2020 article. "It's a whole vicious cycle," Ganguly said, referring to the connection between disincentive structures, short-sighted policy, and the stagnation of technology development. But incentives, he added, could trigger a new cycle of informed policy and innovation. RisQ, a company run by Ganguly's former student and co-author Evan Kodra, has laid the foundation for this new cycle. RisQ's team calculates climate change's effects on concrete value, such as real estate, in hopes of triggering public and private sectors to see the benefit of proactive measures. "Multidimensional innovation is needed," Ganguly said. "That can turn the wheel."